Working with children in therapy nearly always involves working with parents. However, working with parents can be more challenging than working with children, and sometimes really daunting. This is especially true when the parents have been less than understanding or abusive towards their child. The therapist may feel a strong loyalty to the child which, if not handled correctly, can put them in conflict with the parents. This companion volume toCreative Therapy: Working with Children and Adolescents aims to help the therapist feel more at ease when working with parents or carers, and find creative ways of forming a good working relationship which will ultimately equip the parents to help the child overcome emotional and behavioural difficulties. 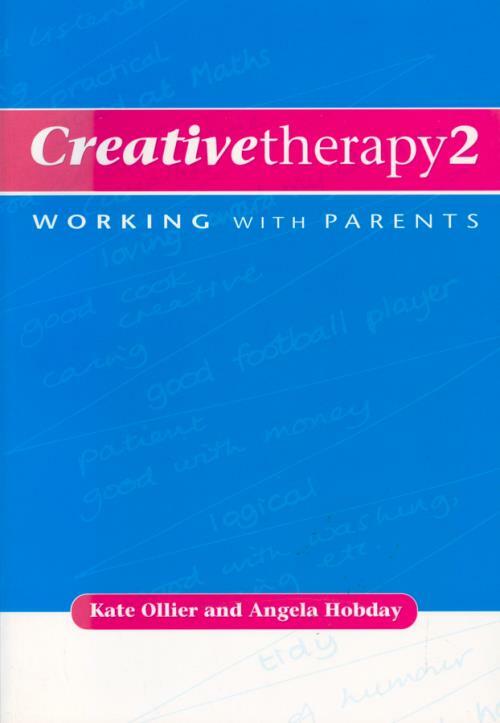 Creative Therapy 2: Working with Parents is a very practical book which outlines ways of gaining rapport, working with parents and creating useful resource materials. Example activities, worksheets and information sheets are provided, covering a wide range of children’s problems and how parents can help them. The book will be especially useful to newly trained therapists, but will also appeal to those who are more experienced but who are looking at different ways of working. Some of the themes running through the book are creativity, parental empowerment, positive parenting, using literature and making therapy fun. All the activities have been developed through the authors’ own clinical work, and all the illustrations, worksheets and information sheets included in this book are copyright–free. 7. Parents with different needs or circumstances. 9. Appendix I – activities. 10. Appendix II – information sheets. 11. Appendix III – Record charts.